Mangoes are one of the most popular fruits on the world and delivers a host of nutrients that make healthy eating delicious. Mangoes are available year round and adds delicious flavor to a balanced diet. A one-cup serving of mango is only 100 calories and provide 100% of your daily vitamin C, 25% of your daily vitamin A, and 12% of your daily fiber needs. Mangoes can be enjoyed with salt, lime juice, or chili powder for a unique flavor experience. Try mangoes in smoothies, salads, salsa, chutneys, on fish, chicken, or pork, a dessert, or just plain as a delicious snack. Pineapples are second only to bananas as America’s favorite tropical fruit. They are available year round but their season runs from March through June. 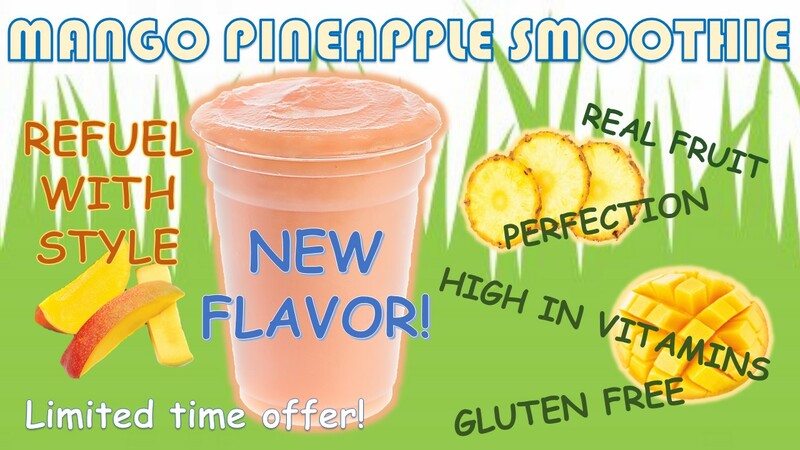 Pineapples are juicy and have a vibrant tropical flavor that balances the tastes of sweet and tart. They are actually not just one fruit but a composite of many flowers that create many fruits that fuse together around a central core. One cup serving of pineapple is only about 83 calories and provide 100% of your daily vitamin C and 9% of your daily fiber needs. Pineapples can be enjoyed in salsa, drizzled with maple syrup and broiled until brown, salads, smoothies, on fish, shrimp, chicken, or also just plain as a snack. 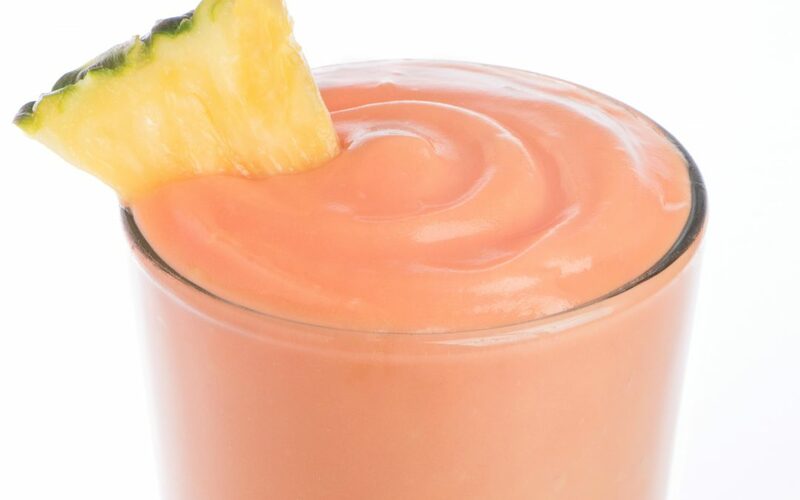 Now, for a limited time, you can sip on this sweet smoothie full of healthy ingredients like mangoes, pineapples, and yogurt. What’s your favorite way to enjoy mangoes and pineapples?